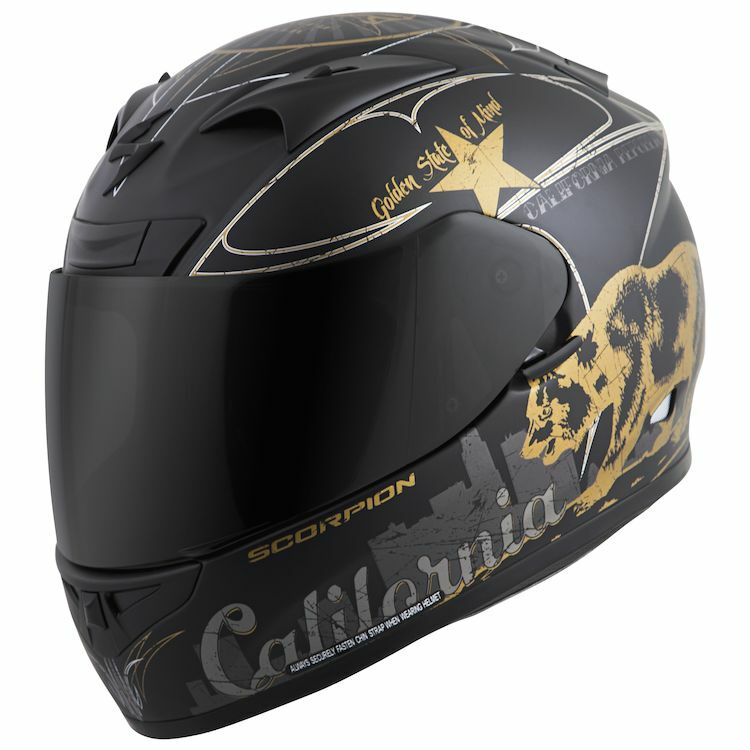 The Scorpion EXO-R710 Helmet is an all-around pro - at home on the street or track, canyon carving or slabbing it home. Ellip-Tec Ratchet System uses an elliptical motion that creates 7.6mm of travel which pulls the shield securely against the eyeport, ensuring a proper seal. The Ellip-Tec ratchet system allows for 100% tool-less shield changing in a matter of seconds. Great helmet, the only issue is the wind noise is a little loud on the highway. I used ear pro to counter that. How the helmet looks with the gold visor is totally worth it. My favorite helmet for the price. So the helmet come with a bag? BEST ANSWER: Yes, not a real high quality bag but a bag nonetheless. I am very impressed with this helmet. Great ventilation (I live in Ohoenix, AZ). Nice helmet, glad I bought size bigger than chart showed. Yes. It comes with a soft drawstring bag. Yes, a light weight dust cover type bag. Yes my helmet came with a bag. Yes it comes with a bag.